A confident and original young act with a brilliant command of language, Sam’s been wowing crowds and rapidly climbing the comedy ladder since his debut four years ago. Having cemented his position as one of the best new performers on the circuit with no less than five New Act of the Year titles, he’s gone on to impress everywhere from weekend clubs to music festivals, biker rallies and theatres. Sam started his stand-up career in 2007 and in that time has attracted more than a little attention, not least with him cleaning up and winning almost every new act competition in the country. 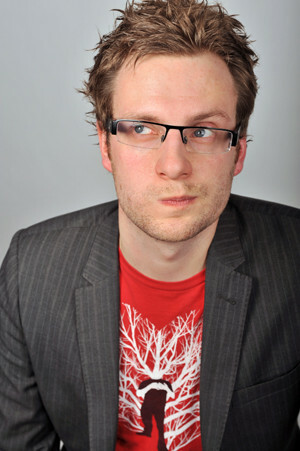 At the Edinburgh Festival in 2010 he appeared in the double-header show A Calculated Risk as part of the Free Festival. In 2011 he’ll be returning to the Fringe as part of the Amused Moose Laugh-Off showcase, having won his way through to the final of that competition as well. Sam continues to progress as an act and does weekend or regular paid work for all the Frog & Buckets, The Stand, Baby Blue, Avalon, CKP, Off the Kerb, The Lancaster Comedy Club, Big Night Out, Peter Vincent at Ten Feet Tall, Toby Jones and Silky at Kill for a Seat to name a few. In 2011 he also begins regular paid work for the Highlight chain of clubs.